Graduate students in the History Department have the opportunity to work with faculty on research and engagement in a variety of venues. Our faculty are award-winning teachers and authors of innovative historical studies. Their research spans the world across time, from the ancient Romans to modern technology and the environment. 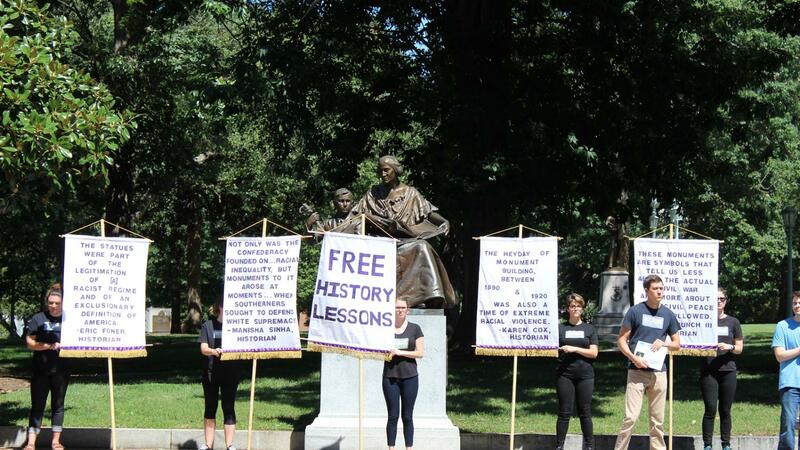 Public History professor Alicia McGill has been very busy this summer. After receiving a Faculty Research and Professional Development grant to pilot the first NC State University international public history student research practicum, McGill and two Public History students, Hannah Scruggs and Lisa Withers, set off to Belize to collect ethnographic and archival data in the village of Crooked Tree – a community rich in history and vibrant cultural heritage.